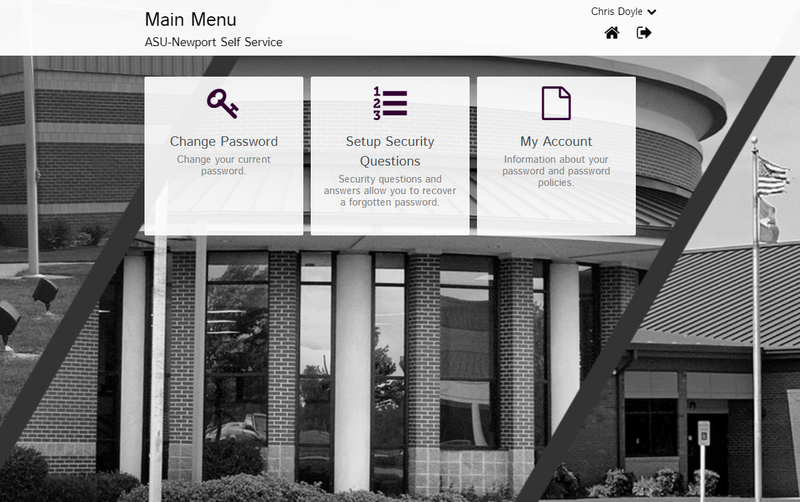 ASU-Newport ITS » Reset your ASU-Newport Password. First, go to https://selfservice.asun.edu then log in the site using your ASU-Newport email address and password. Once you are logged in select the “Reset Password” as shown below. Once saved your new password will be able to use in MyCampus.asun.edu instantly. For Canvas and Office 365 it could take up to forty minutes before your password is synced.